The dentist’s office can be an intimidating place for both children and adults alike. However, if you are a parent with children who feel discomfort at the dentist, know that you can play an important role in making them feel more comfortable! Acting on your children’s uneasiness at the dentist as soon as possible will ensure that your children eventually look forward to going to the dentist, which will go a long way in having your children maintain healthy dental hygiene habits throughout life. Some discomfort about going to the dentist is due to the unfamiliarity of the objects being used and what to expect while there. Consider playing dentist at home – open up your children’s mouth, count their teeth and clean their teeth with a toothbrush. Use a small mirror to let them see their teeth. You can even allow them to pick a new toothbrush. Allow them to be the dentist as well. Remember to avoid anything scary, like drilling noises. You can also get picture books that are about trips to the dentist, visits, which will also make your children feel more comfortable about going to the dentist. Like we said, a lot of discomfort at the dentist is simply due to the unfamiliarity of the place. Ensure that you schedule dental appointments at least twice a year so that you and your children can get comfortable with the dentist’s office and all of the people there. 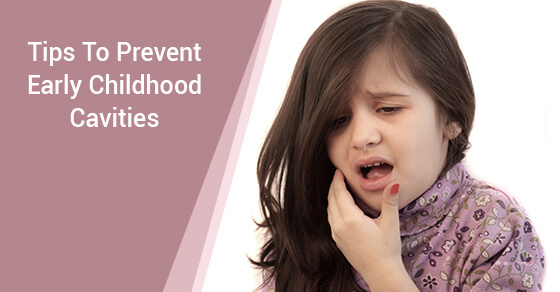 Similarly, it is important that you get your children used to the dentist as soon as possible. This is usually around one year of age, when a child’s first tooth appears. Making a dental appointment fun can be an easy task with just a little effort. Talk about the dentist in a funny way – for example, perhaps you might tell your child that the dentist is looking for “sugar bugs” in his or her mouth. This will make them laugh and feel much more comfortable. Consider also talking up the treasure chest at the dentist’s office, if they have one. One way to make your children more comfortable at the dentist is to have the entire family go together. Children will feel better knowing they are not the only one having his or her teeth cleaned and will feel more comfortable with their parents and siblings there with them. To ease any discomfort about going to the dentist, it is important that you don’t give too many details about a given procedure – answer questions in a way that is short and simple. This will make it less likely that children will ask questions. Similarly, avoid using any negative words like “painful” or “hurt” and keep any of your own negative experiences at the dentist to yourself. Instead, talk about the importance of going to the dentist and how the dentist will make your children’s teeth very strong. A dental office that accommodates children by making their visit fun (such as with video games or magic tricks, for example) will make your children comfortable and even excited to go there. Dawson Dental loves kids! We offer tailored services for children, including a trip to the treasure chest. Contact our team of professionals today.